Hello crafty friends! I guess I can say my summer vacation officially starts today. During the past few days, everybody at school was cleaning their respective work areas/classrooms. One of the teachers gave me an organizer that has been in her room but she hasn't really used. I think it's a shoe organizer, but I know I can definitely use it in my craft room. When my co-worker saw this organizer, she looked at me and said there's no more room in my craft room for it. I kinda believed her, but there's no harm in trying, right? I told her if I don't find room for it, I'll pass it on to her, since she's a crafter as well. As soon as I got home yesterday, I started looking around in my craft room and tried to re-analyze my craft supplies. Same questions as before: Which ones do I use often? What space can I sacrifice? 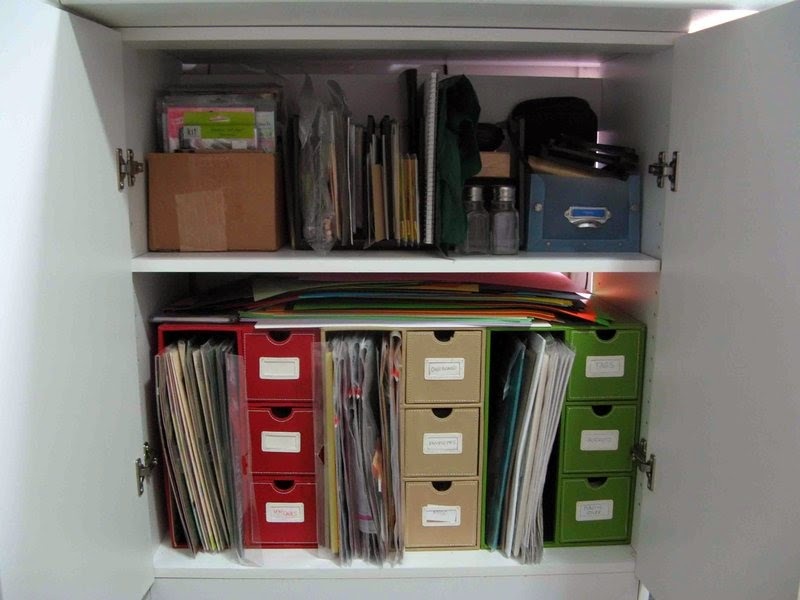 What changes can be made to accomodate this new organizer? What can go in this new organizer? 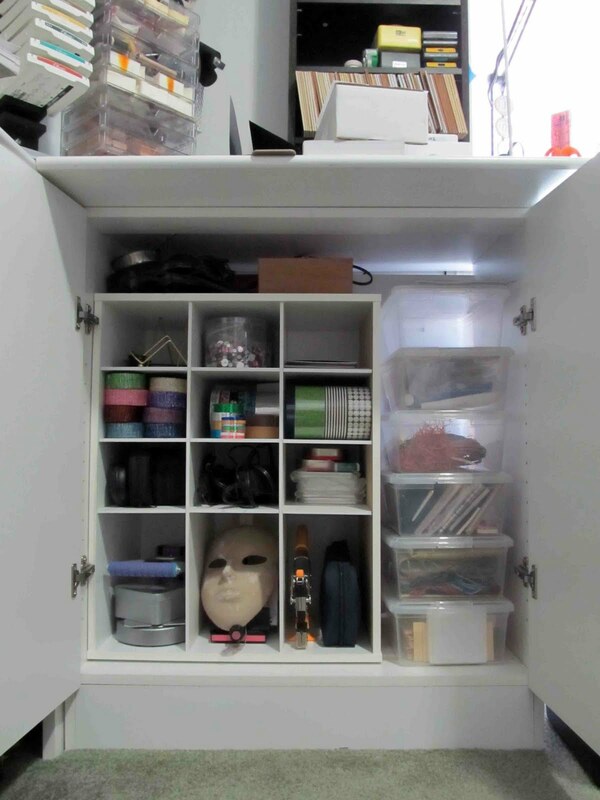 A lot of craft supplies and materials in this cabinet are stuff I don't really use so often like scrapbook kits, reinkers, album page refills, craft knives, etc. It's now a place for tools and supplies that were out in the open but I rarely used. Some are craft materials that I haven't used for a while because they have been hidden, and I would like to use them more often. The plastic cases are actually shoe boxes I bought from CostCo in Japan, and they are perfect for that space on the right. I'm looking to organizing other areas after this new change, and I will definitely share them with you when I'm done.